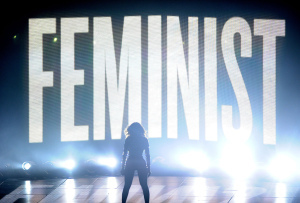 Time Magazine wonders if we should ban the word Feminist. We shouldn’t. In a reader survey, Time Magazine is asking what word should be banished from the lexicon in 2015. The candidates include mostly online turns of phrase and slang, such as obvi, basic and om nom nom nom, among others. Also on the list? Feminist. feminist: You have nothing against feminism itself, but when did it become a thing that every celebrity had to state their position on whether this word applies to them, like some politician declaring a party? Let’s stick to the issues and quit throwing this label around like ticker tape at a Susan B. Anthony parade. What? What are you talking about, Time Magazine?